Finally! 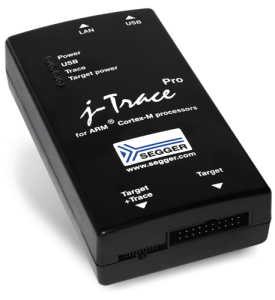 I have a J-Trace in hand and I am ready to wreak havoc on those pesky software bugs that always toy with me! A little more than a year ago I decided that I couldn’t stand using low-cost, one-off debuggers any longer and needed to invest in a real debugging tool that I could not only use across multiple microcontroller families but also had all the features I would ever need in a professional debug probe. After careful review and consideration I had narrowed the decision down to the J-Link Ultra+ ($795) and the J-Trace ($1895). At the time, comparing the extra cost and features, I decided that I didn’t really need the trace capability and the extras that came with the J-Trace so I went for the J-Link Ultra+. I quickly discovered that the J-Link Ultra+ was excellent and that it was the debug probe I should have purchased years ago. After several months of use though, I started to yearn for instruction tracing, streaming trace, ethernet and the ETM interface. I realized that when I made my purchasing decision, I had allowed cost to dominate the decision and I didn’t account for time that could be saved debugging and understanding my embedded systems let alone the verification data that could be gleaned. After a long and patient wait, it’s time to dive in and see what the J-Trace is really capable of! I quickly discovered that the data in these windows could be exported in either a report format or a .csv. The report is human readable and useful to get a general feel for how testing might have gone or how the system was behaving. The .csv report is a great format to use for further analysis or even to demonstrate that the system was tested and verified. So far I’ve only scratched the surface on what the J-Trace can do. I’m excited at the possibilities and digging deep to discover the tips, tricks and techniques that will help embedded system developers create more robust systems and decrease development costs. 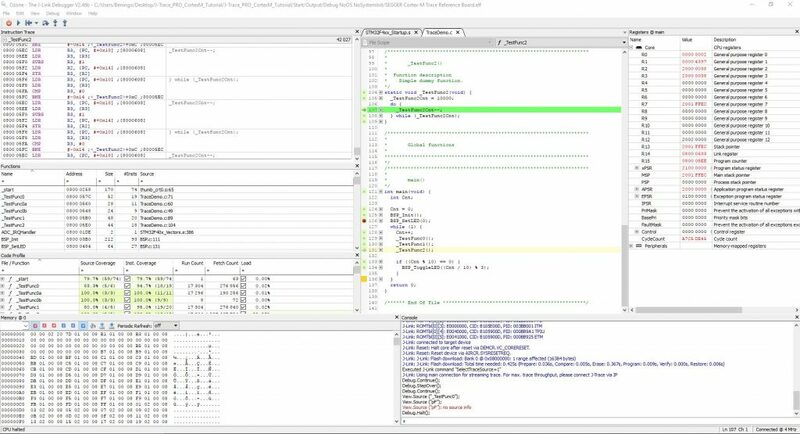 If you are interested in learning more about tracing and how to debug real-time embedded systems, consider joining me for my free webinar on “Verifying RTOS Applications using Deep Insight Analysis” on Wednesday September 27th, 2017. Thanks for the info. 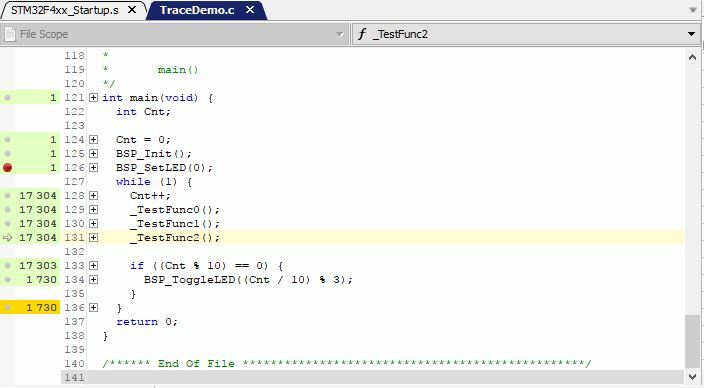 Does J-Trace support power/energy profiling feature? If so what is its min resolution (Power/Current)? Thanks for the comment. I don’t believe that J-Trace supports power/energy profiling. A quick look at the toolchains and user manual come up empty. It does provide instruction tracing, application tracing and profiling though. There may be a way to combine it’s datastream and that of a current monitor.